Child sponsorship: Off the shelf vs lucky dip. Child sponsorship in theory is a great concept. A one-to-one relationship between the donor and the child. The ability for the donor to feel like more than just another dollar, and to see that their support alone is making an on the ground difference. Most people do now understand that the money does not go directly and only to the child, but instead to the community that supports them. Even with this knowledge, the process of sponsoring a child still gives people a sense of control over where their donation is going and an emotional connection with the child. Child sponsorship is an income engine for development organisations. It strikes an emotional chord with potential donors, more so than program or emergency appeals. Behind the big brown eyes of the chosen child the money does get pooled and spent on community projects. However, I have always struggled with how child sponsorship is portrayed to the public. In short, how the child is ‘marketed’ to a potential sponsor. A crass word to use when relating to supporting children who do genuinely require help, but a concept that must occur for these children and their communities to receive the support they need. What level of ‘marketing’ is required and acceptable to encourage people to sponsor children? Is it wrong to have all the pleading faces lined up on your computer screen so that you can flick through and select the cutest one with big brown eyes? Or is this a level of engagement that is necessary for the people who are attracted to child sponsorship to get that feeling of connection and control? Is it natural to want to ‘see before you buy’? Being able to choose the jacket in red over the jacket in blue. Even though you know they are the same design from the same material, but for no particular reason you just like red better. It is horrible to compare child sponsorship to online shopping. But people do have preferences. Even good people who want to sponsor children who do need their help. When committing to handing over money every month it is only natural to want to see what your money is going towards. Some organisations do offer child sponsorship in absence of photos and information about the child. People choose to sponsor an anonymous child for $42 per month and only after the credit card details are entered the donor is allocated a child to sponsor. Thus removing the meat-market pre-purchase scenario (and the horrible risks associated with having photos of children online) but at the same time also removing the choice and control over where the money is going and the selective one-to-one relationship which is unique to child sponsorship. Does this un-marketed version still provide the same level of incentive to sponsor a child? If you do not see photos of the child and do not engage ‘pre-purchase’ are you still as likely to sponsor the unknown child? So many questions and a personal moral dilemma. For an organization to run sustainable long-term programs it needs a reliable income flow – which child sponsorship provides and I understand. In a bid to increase this income an online shelf of pleading children drives a higher level of emotional engagement and hence more donors. But to what point is it ok to market these children online? Should we just take the blue jacket, hand over our money and put the choice of where our dollar goes into the hands of the experts and bypass child sponsorship altogether. Yeah probably. Yes. Raquel makes #GoBackSBS and we made the radio. Yesterday we suggested that Go Back to Where you Came From becomes compulsory viewing for all Australians. That one of the biggest issues fuelling the ‘boat people’ debate is the lack of education. Through mainstream programming of the show it has the ability to humanise asylum seekers and give the public real insight into what it means to be a refugee. The post generated a sea of chatter and yesterday afternoon we were contacted by 720 ABC Perth to discuss the idea of compulsory viewing and the interest #GoBackSBS is generating online. @BryonyCole did a stellar job and you can listen to her interview over here. The strength of the show lies in the mix of the characters. As much as we may not like to admit, this handful of Australians does well to represent the majority. My brother summed it up superbly. Go back to where you came from: Superb, uncomfortable & influential (?) viewing. Go back to Where You Came From last night was fantastic viewing and should be compulsory watching for all Australians. Superb work by SBS. But just how much impact can the show have without the reach of commercial television? 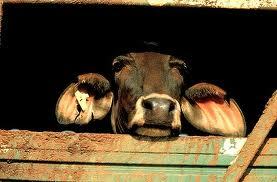 After the three nights of the show are done will there be an outcry like was seen over live animal exports. Unfortunately, highly unlikely. Would you send me back? As mentioned on a blog post published by UNICEF last week – Why is it that so much more public outrage occurred in response to the treatment of live cattle being exported to Indonesia, compared to the deporting of people to Malaysia under the Gillard government’s refugee swap scheme? One of the biggest issues is ignorance. There is a definite lack of education. Which was clearly illustrated last night. How do people know if they don’t see. Did you know that in 2010, Australia accepted 0.03% of the world’s refugees, asylum seekers and displaced people; of the 43.3 million refugees globally, we took just 13 750. Go Back to Where you Came From is creating superb uncomfortable viewing that has the ability to humanise asylum seekers. Lets just hope that a commercial channel picks up Go Back in the near future so it reaches the minds of the masses that need to be educated. Everyone loves a little test. In the meantime send some mates who need a little education on the issue this great interactive Asylum Seeker fact tester which lives over on the SBS website. Also if you missed last night you can watch it here. Finally, if you had fled war, terror, starvation… would you go back to where you came from? Highly unlikely. And do you think Raquel will survive her experience in Malaysia? Again, highly unlikely. Great viewing tonight indeed.